MediaCity-based b2b marketing agency Marketecture announces it has been appointed to work with Manchester Jazz Festival (mjf) to develop a new creative campaign to promote the festival for the second year running. In 2015, Marketecture revamped the creative for Manchester Jazz Festival’s 20th anniversary, collaborating with Manchester School of Art to create a signature artwork then incorporating this into a new website, print assets and outdoor advertising. Building on this success, the agency has now begun work on a new creative concept and identity for the 2016 campaign to drive further year-on-year growth. 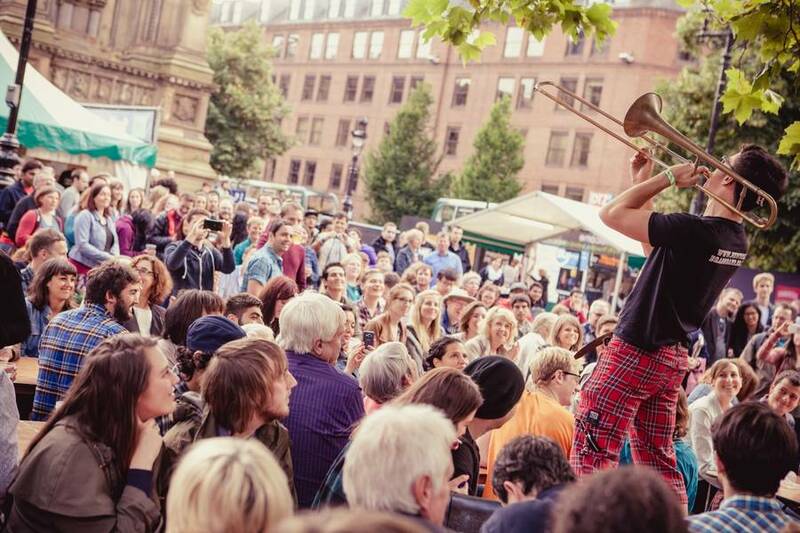 The city’s longest running music festival and one of the leading jazz festivals in the UK, mjf is spread over multiple venues throughout Manchester city centre and will take place on 22nd – 31st July 2016. Marketecture Managing Director, Michael Clark, said: “Manchester Jazz Festival is a fantastic celebration of music which showcases more than 400 local, national and international artists in iconic venues across the city. We are working closely with the festival organisers to refresh the creative across its print and digital assets, plus we’ll be providing ongoing marketing support in the lead up to the event. For further information about Marketecture please visit www.marketecture.co.uk, call 0161 786 8040 or connect via twitter @MarketectureUK. For more information about Manchester Jazz Festival 2016 visit www.manchesterjazz.com or connect on Twitter via @ManJazzFest, or Facebook.com/manchesterjazzfestival.